One of the aspects about art is that anything can be art. I love this fact because it makes taking risks and experimenting while creating art much more fun. After all, isn’t art just someone’s opinion? Art is subject to likes and dislikes, what one likes another may not. 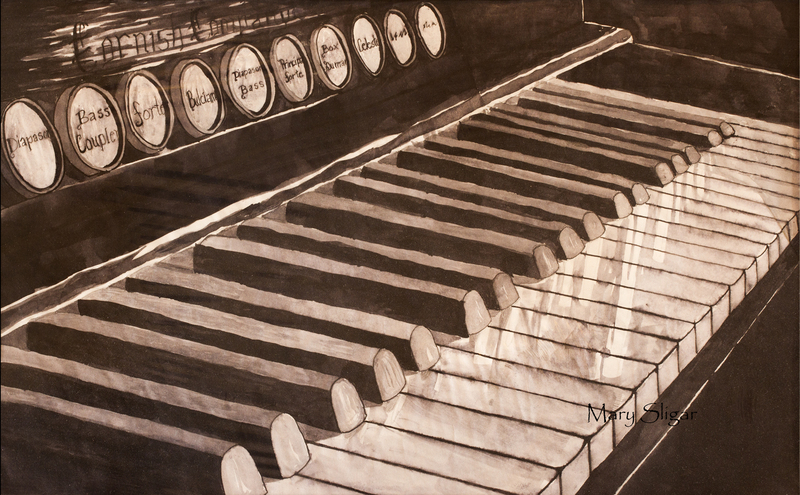 This drawing of an antique organ is made using India ink, an ink pen and brushes. I like to use different mediums and experiment with the results. I found that sketching with India ink, I get a much different result than with charcoal or pencil. 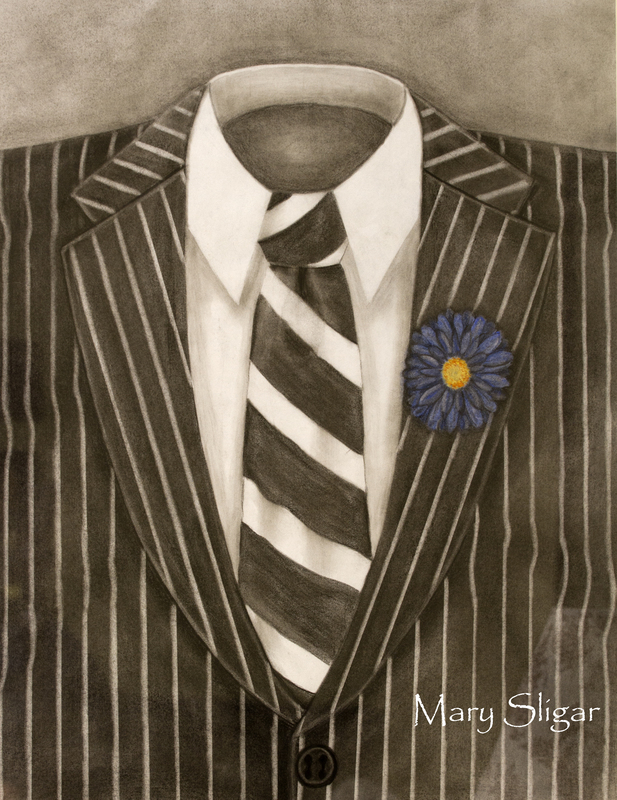 This is a drawing of my husband’s suit. (Sorry about the reflection in the lower right corner.) It is drawn with charcoal pencil. I blended the sketch and for the pin stripes I erased the lines with a sharp eraser. Try different mediums for your art or combine mediums for a mixed media effect. Just keep creating and having fun. 25 Mar	This entry was published on March 25, 2014 at 8:29 pm. It’s filed under Art Cottage and tagged Art, brushes, charcoal, charcoal pencil, Drawing, india ink, ink pen, Painting, Sketching. Bookmark the permalink. Follow any comments here with the RSS feed for this post.